SEAS CA22RNY H1471-08 £79.85 excl. VAT. Popular Long Throw Woofer, classic coated 8" paper cone, HT Al coil, smooth response, bumped back plate. High sensitivity, a well behaved roll off characteristic and reduced resonance. 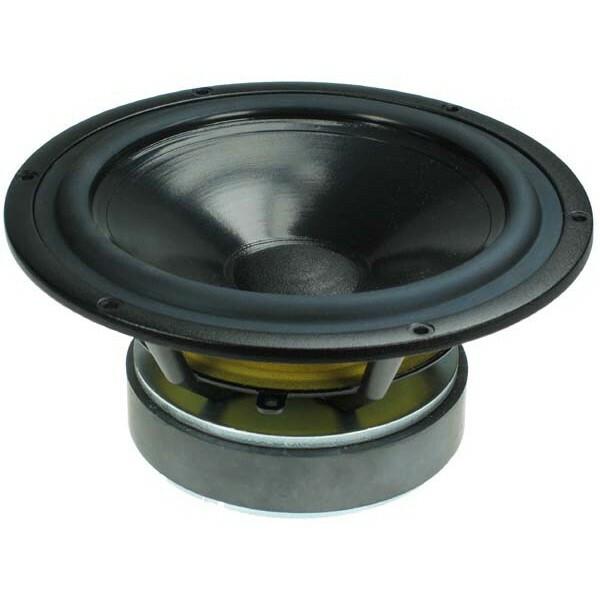 SEAS CA22RNY H1471-08 is a classic 8" woofer, with a hand-coated paper cone and matching natural rubber surround producing high sensitivity, a well behaved roll off characteristic and reduced resonance. A long high temperature voice coil wound on an aluminium voice coil former gives excellent low distortion and high power handling capacity. The extra large magnet system provides high efficiency and good transient response, making this driver perfect for high efficiency 2-way systems. Bumped backplate and traditional large windows in the metal basket both above and below the spider reduce sound reflections, air flow noise and cavity resonances to a minimum.